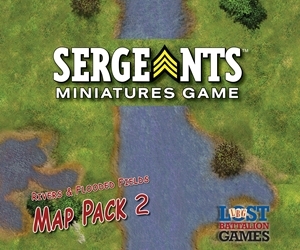 Map Pack 2 – Rivers and Flooded Fields allows players to expand their current SMG maps for even larger scale games. 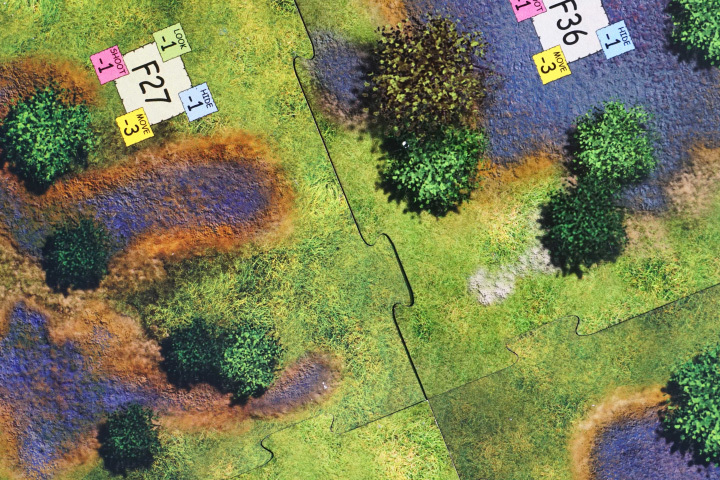 This pack contains 24 various double-sided water tiles, further expanding the options for intricate and impassable rivers. The river tiles also contain some trees and bushes to help you take cover. 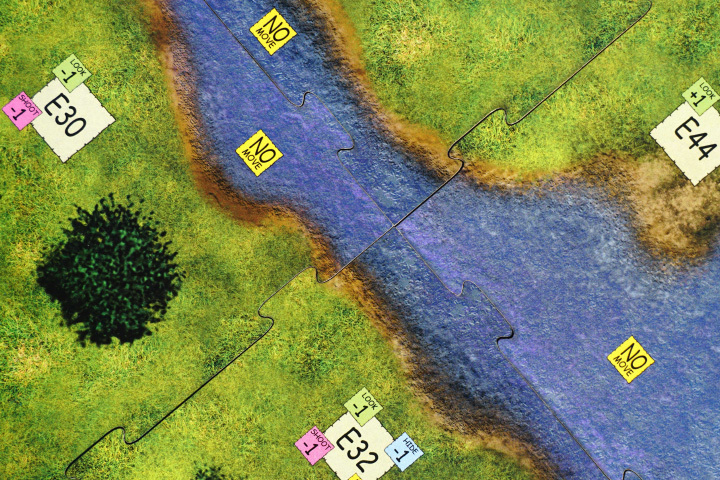 The reverse side includes flooded low-land fields to slow down, but not stop, your advances. Local brush has kept this land from eroding away and makes for good concealment while your men trudge their way through the deep mud. Map Pack 2 is great for creating a more extensive map footprint for larger scale engagements and is fully compatible with all SMG base games and expansions.